If this is the first you're hearing of the Nautilus, don't be alarmed. This is just the latest refresh of an old friend. Up until 2019, the Lincoln Nautilus was called the Lincoln MKX. Now in its second generation, the MKX was rebranded after a mid-cycle refresh. Lincoln is rolling out a host of tweaks and changes to commemorate the new name, which we'll go over in this preview guide. We'll also remind you what made the MKX so great all along and continues in the 2019 Lincoln Nautilus. There's more to the Nautilus than a new name. Compared to the 2018 MKX, the Nautilus sports a new exterior, boasts new safety features, and benefits from an engine upgrade. The new styling distances the Nautilus from the MKZ and draws this Lincoln closer to the Continental and Navigator. The split grille has been replaced with a rectangular one with an unobtrusive Lincoln star in the middle. The rest of the changes are subtle but the overall effect is a chiseled, handsome appearance. The 2019 Nautilus also offers safety features, such as stop-and-go functionality, lane-centering and evasive steer assist. Lane-centering, together with adaptive cruise control, keeps you in the middle of your lane while evasive steer assist helps avoid rear-end collisions. Finally, the 2.0-liter EcoBoost I4 replaces the 250-horsepower 3.7 L Cyclone V6 as the standard engine, generating 280 pound-feet of torque. The 2.7 L EcoBoost V6 is still optional. Both engines come with a start-stop system and are paired to an all-new 8-speed automatic transmission. As you can see, the Nautilus is like an old friend, but also like a your new best friend. Have you ever loved a car so much you wish it loved you back? No? Maybe it's just us. Regardless, Lincoln is doing the next best thing. When you approach the vehicle, key fob in pocket, the Lincoln begins to glow. 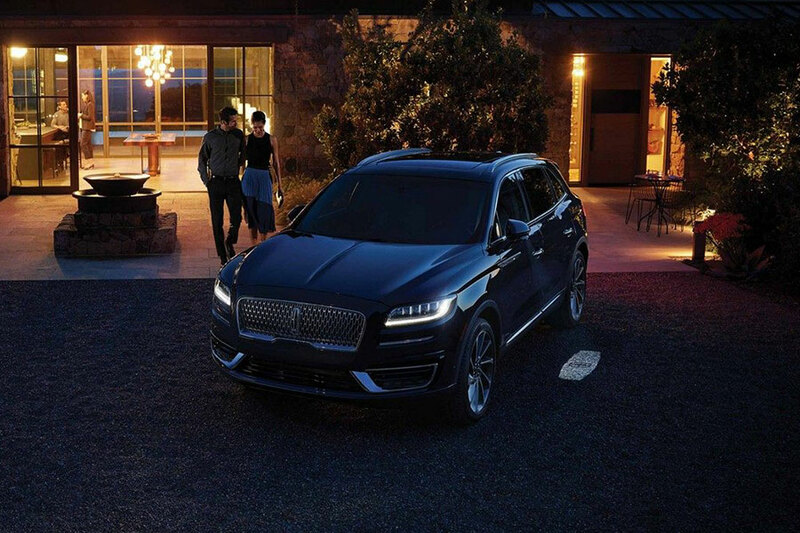 Its LEDs light up to frame the headlights, the taillights glow, a large Lincoln logo appears on the pavement beneath the door handles, and some cabin lights bathe the interior in a glow. This effect is called "The Lincoln Embrace." It's Lincoln's way of saying welcome home. And, until we perfect AI, it's the next best thing to your car loving you back. The Nautilus seems happy to see you. The Nautilus also gets high marks for its comfortable cabin. When paired with its strong engine options, this Lincoln can give you everything you want from a long drive. Passengers will find plenty of room and supportive seats whether they sit front or back. 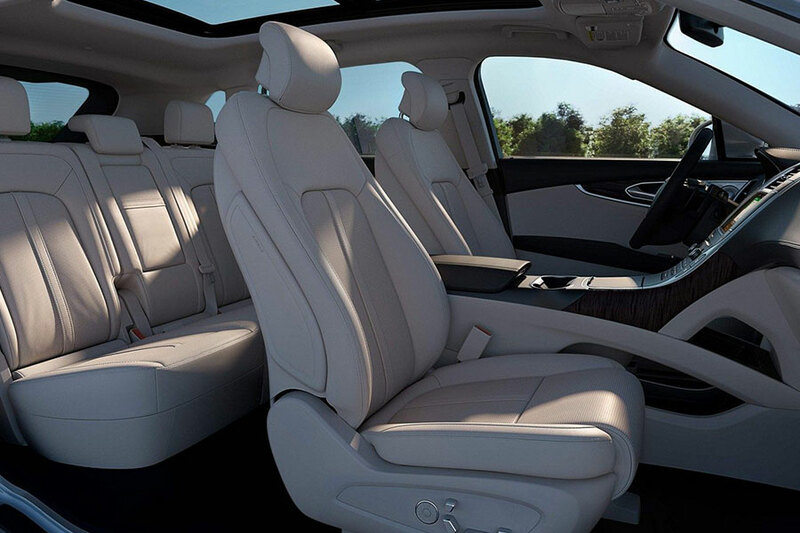 And if you have exacting standards of comfort, there's even optional 22-way power front seats. Whether it's a drive to the office, or a long trip across country, the 2019 Lincoln Nautilus will get you there in style and comfort. What's not to love?